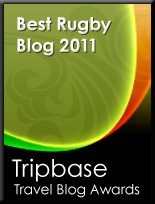 TOTAL FLANKER...a rugby blog: Code switch for Warriors? Having lost Josh Charnley to Sale Sharks this week, it is now being reported that Wigan Warriors have lodged an official application to join the Aviva Premiership with effect from the 2017-2018 season. It emerges that the Warriors, who have previously lost the likes of Jason Robinson, Andy Farrell and Chris Ashton to Rugby Union, have been in discussions with Premiership Rugby and the RFU since the turn of the year. Central to the discussions has, it seems, been the long term plans by World Rugby to (1) simplify rugby by depowering the scrums to avoid the continuous re-sets which currently blight the game and (2) create more space on the field by reducing the number of players per team to 13. Premiership Rugby are, it is reported, keen to embrace Wigan and have set aside a fighting fund to compensate disgruntled Championship clubs who will be denied promotion to the Aviva Premiership in 2017. The RFU is also said to be keen on the move which will allow the likes of Sam Tomkins and Sean O’Loughlin to be parachuted into the England squad in time for the 2019 Rugby World Cup. Strangely enough no one at Wigan Warriors, Premiership Rugby or the RFU is available for comment.